A start-up led by the former president of Intel, Renee James, has set its sights on the data center market. 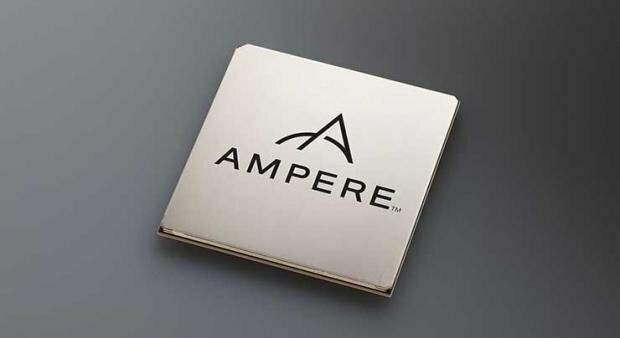 64-bit Arm-based processors from the new company, Ampere, are sampling now and are expected to be in production in the second half of the year. Ampere’s products operate at up to 3.3 GHz, with a power envelope of 125 watts. “We have an opportunity with cloud computing to take a fresh approach with products that are built to address the new software ecosystem,” James said. “The workloads moving to the cloud require more memory, and at the same time, customers have stringent requirements for power, size and costs. The software that runs the cloud enables Ampere to design with a different point of view. Ampere has partnered with Taiwan Semiconductor Manufacturing Company (TSMC) - the world’s largest independent semiconductor foundry - to produce the chips, Dr BJ Woo, TSMC’s VP of business development, said. The launch of Ampere was welcomed by organizations including Red Hat, Oracle, Lenovo and, of course, Arm. Dr Leendert van Doorn, distinguished engineer at Microsoft Azure, said: “We’re excited to welcome Ampere Computing to the Arm64 server ecosystem. Ampere is based in Santa Clara, California, with its headquarters - according to Google Maps - just a four-minute drive from Intel’s offices. In addition to James, the chief architect, Atiq Bajwa, spent 30 years at Intel, the EVP of hardware engineering, Rohit Vadwans, worked there for 26 years, and the CFO and COO, Chi Miller, was both an Intel and Apple executive. Senior fellow Greg Favor comes from AMD. The company is backed by asset management company The Carlyle Group, which also owns data center REIT CoreSite and previously owned Spanish data center operator Itconic, before its acquisition by Equinix (a company the group has also invested in).